Our marinade made with Better Than Bouillon® Organic Chicken Base and Indian spices keeps our Tandoori Chicken moist and succulent. Mix the Chicken Base, yogurt, milk, lemon juice, garam masala, onion powder, garlic powder, paprika, cumin, cayenne pepper, and cloves in a small bowl. Add the marinade to a re-sealable plastic bag. Add the chicken thighs and toss to coat. Place the bag in the refrigerator for 8 hours or overnight. Preheat the grill to 400 °F. Remove the chicken thighs from the marinade and place each thigh directly onto the grill, skin side down. Grill for 10 minutes. 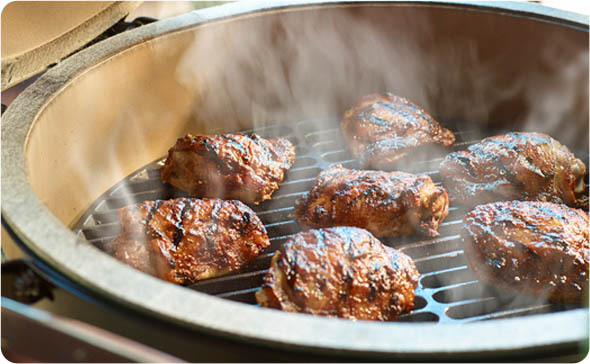 Turn the chicken thighs and grill for 30 - 35 minutes more or until the internal temperature is 165 °F. Remove the chicken thighs from the grill and serve immediately.